Stupid egh? Not sure why I bruised so easily but them ones aren’t even from fall, well a few might be. The ones from fall are right thigh… But even I have my limits, says the woman who posted a picture of the inside of her arm…. 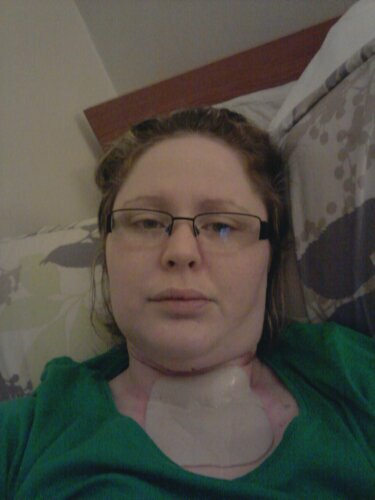 As u can than swelling is still going down and looking better, but I’ve pretty much lost what voice I had possibly yesterdays stress possibly being over tired it maybe throat infection…. Obviously hoping for first two but my throat is bit sore. We’ll it 4.18am the pain woke me I’m honing to try and get back to sleep for a bit now but we will see ..
Much love to anyone who reads this I love receiving the comments and hearing advice and or encouragement. Makes it all a bit less scary. 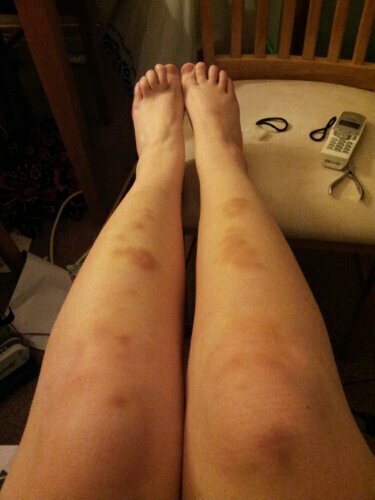 Previous PostThe bruises I mentioned..
Next PostIt’s a new day…..
Hope u got back off to sleep ok.